Gemstones never fail to surprise humans with their amazing look and excellent benefits. However, there are some gems which when viewed under different lighting, change their color. This means they look different when seen under natural lighting and different when seen under indoor lighting. Such gems belong to different mineral families like Garnets, Sapphires, and Alexandrite. Let’s know some of these color changing gemstones a little better. It is one of the most expensive color changing gemstones in the world. It changes its color from emerald green in the morning to red at night. Some of these gems can also have a blue hue under natural light and purple under indoor light. A color changing fluorite is usually a blue gem which changes its color to purple when viewed under incandescent lighting. A member of the feldspar family and is available in different colors like red, green and yellow. 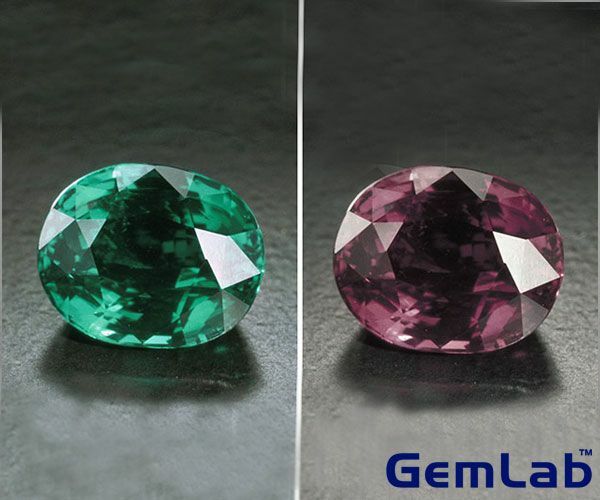 The color changing Andesine gems may use different hues under different lighting, including deep green to vivid violet. Stunning to the core, a color changing garnet has a kiwi-green tone which changes to pink when viewed under artificial lighting. A rare variety of gems, color changing Diaspore may also exhibit pleochroism, meaning that it can produce bands of colors when seen from different angles. A color changing diaspore may change its hues from green to pink and even champagne. One of the most loved varieties of gems – a sapphire can also change its color. Common amongst color-changing sapphires is a blue gem which may change its shade to violet under artificial lighting. How do these gems change colors? The science of color change gems is pretty simple. It depends on the source of the lighting and the transmission windows that the gem has. Color change gems comprise of two, somewhat equal-sized transmission windows. A red gemstone appears red as it absorbs all the frequencies of light, leaving red. Similarly, a gemstone that can absorb all frequencies with the exception of blue and red light will look blue when viewed under the light which has several blue wavelengths, and the same gem will look red when seen in lighting which is rich in red wavelengths. How To Take Care Of Precious Colored Gemstones?